The year is 2159 and the Frontier needs you. As powerful as they are in the Core worlds, the Federated Nations of Humanity government and the megacorporations cannot act directly on the far distant area of space known as the Outer Veil. The Outer Veil is a month or more away by one of the brand new, Tech Level 11 courier starships; to exert their power, the FNH government needs individuals like you as reliable administrators who can think on their feet, loyal military officers to project its force and determined Justice Commission agents to uphold the law where colonial authorities cannot. The megacorporations want results fast and by any means necessary whilst researchers, explorers, workers are needed for projects on the Frontier. Work on the darker side of inter-corporate competition on the Frontier can be found by mercenaries and spies. The Frontier worlds offer adventure and opportunities for professionals, hired guns, explorers and colonists. ‘Brotherhood & Justice’, a complete adventure set in the Outer Veil, complete with maps and non-player characters. Requires the use of the Traveller core rulebook available from Mongoose Publishing. You can purchase Outer Veil as a PDF to download from Spica Publishing’s page at DriveThruRPG.com. Outer Veil is not yet available in print but watch this space! 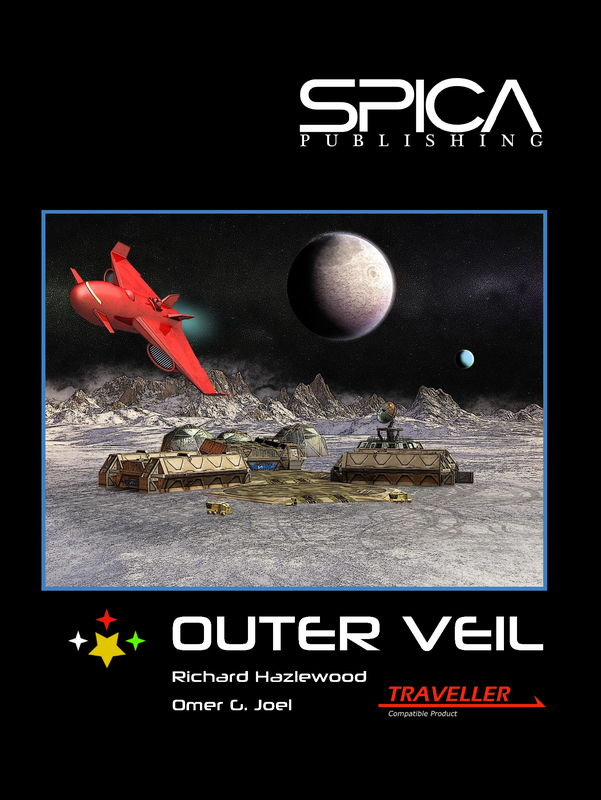 Outer Veil © Spica Publishing 2011-2015. All rights reserved.